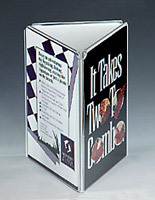 4" x 6" 4" x 9"
This acrylic table tent is ideal for promoting food and beverage specials on restaurant tabletops. 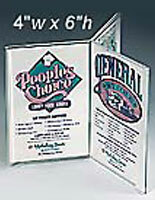 The relatively large 5" x 7" size makes viewers stop and take notice of the graphics and messages on display. 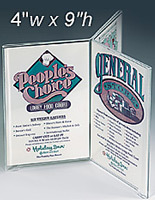 Each acrylic table tent, also called a menu card holder, features three sections. All three sections can hold two signs back-to-back allowing for a total of six different graphics! 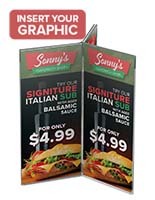 This signage display is the preferred acrylic table tent for most casual dining establishments. The clear design provides a full-view of the entire signs. This acrylic table tent that is double sided is intended for use with single sheets of paper. 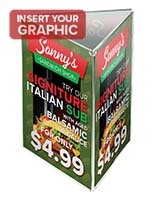 Replacement graphics can be printed with a standard office printer. 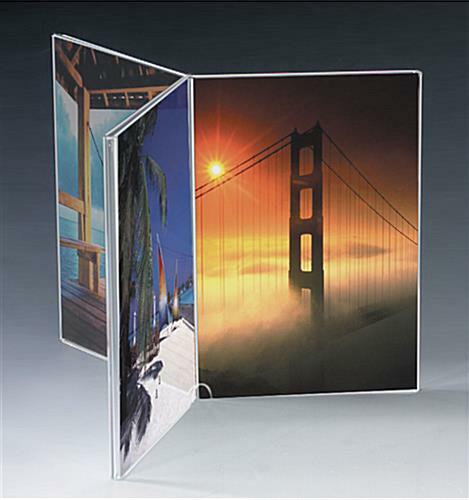 Change this acrylic table tent, menu holder, by sliding the old images through the top or bottom and replace with new prints. The slide-in design allows for quick and effortless change-outs. 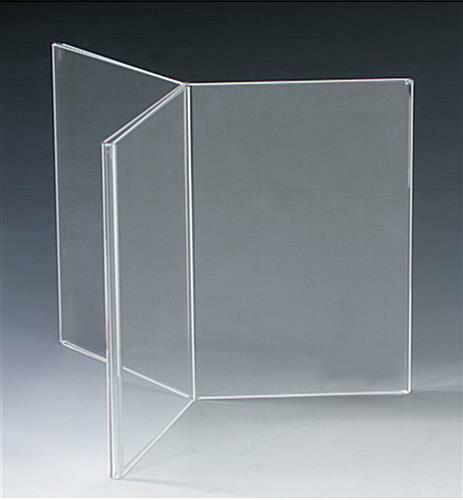 This acrylic table tent, such as a plastic photo frame, can be used to display personal pictures in a cubicle or in an office. The 5" x 7" size is commonly used for family photos. 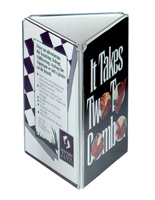 This acrylic table tent is extremely low maintenance, and can be kept clean with an occasional damp rag. Buy this tabletop sign holder in larger quantities to take advantage of the lower pricing. 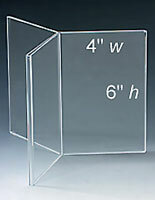 This acrylic table tent that is multi-sided is also offered with same day shipping options. We are unable to accept orders for less than 24 units. Very Happy with product and arrived quickly and securely packaged. We're so happy to hear it, Bill! Thanks for shopping with us.